What is the 17th Amendment? The 17th Amendment is about Senators Elected by Popular Vote. Summary: The 17th Amendment was ratified in 1913, during the administration of William Taft, stating that people will elect Senators. Before this, Senators were elected by state legislatures. When was the 17th Amendment passed? Amendment XVII was passed by Congress on May 13, 1912 and ratified on April 8, 1913. 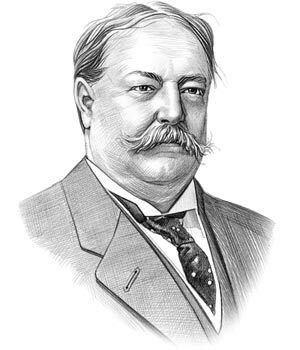 William Taft was the 27th President of the United States whose presidency spanned from March 4, 1909 to March 4, 1913. One of the key events during his presidency was the ratification of the 17th Amendment to the Constitution. The cause or reason for this addition to the Constitution was to enable electors to vote for Senators as opposed to the state legislatures, encouraging American citizens to become more involved in the Government of America. "The Senate of the United States shall be composed of two Senators from each State, elected by the people thereof, for six years; and each Senator shall have one vote..."
"...The electors in each State shall have the qualifications requisite for electors of the most numerous branch of the State legislatures." "...When vacancies happen in the representation of any State in the Senate, the executive authority of such State shall issue writs of election to fill such vacancies:"
"...Provided, That the legislature of any State may empower the executive thereof to make temporary appointments until the people fill the vacancies by election as the legislature may direct." Meaning: The state legislature can vote to allow the Governor to make a temporary appointment of a Senator until the people can vote. "This amendment shall not be so construed as to affect the election or term of any Senator chosen before it becomes valid as part of the Constitution." Meaning: The amendment does not affect the term of an existing Senator who had been in the role before the amendment was passed. The original full text of the 17th Amendment of the Constitution is as follows. Note: Article I, section 3, of the Constitution was modified by the 17th amendment.